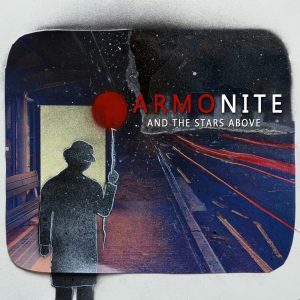 Armonite – And The Stars Above – Album Review | The Ark of Music – The best music in the world…you never knew existed. 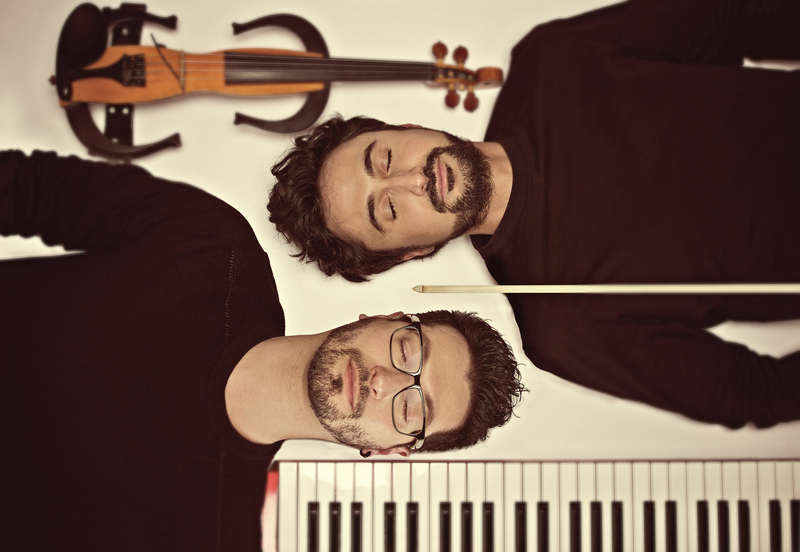 The Pavia, Italy-based instrumental-electro-rock duo known as, Armonite, has an interesting backstory going back to their teenage years. Jacopo Bigi and Paolo Fosso were in and out of local bands, making noise wherever they were invited; covering everyone from The Beatles to Dream Theater. Fast-forward a bit to the late 90’s and their college years, and the fellas found themselves in the first iteration of Armonite. It didn’t last long however, and after an album and few shows, they split up. But, as the creative spirits would have it, practically two decades later, the two would join-up once more and recycle the name for old time’s sake. Now, with Bigi (electric violin) and Fosso (keyboards. composition) at the helm, they’ve teamed up with various other talented players which have included, Colin Edwin & Alberto Fiorani (bass); and Jasper Barendregt, Emiliano Cava, & Corrado “Dado” Bertonazzi (drums). This unique classical/prog-rock group actually features Bigi’s electric violin rather than guitars and/or vocals, and have previously released 2015′ The Sun is New each Day prior to their latest project, And The Stars Above, a gutsy, inventive collection of music which has already earned them honorable mention both in the Instrumental and Performance categories at the 2017 International Songwriting Competition for the track, Blue Curaçao. A light and playful string, keys and vocal intro opens the first 1:18 of track one, The March Of The Stars. An explosion of percussion and brass expand into a dynamic, driven, potpourri of sound which belongs as the score music to some epic chase sequence in the next summer flick. A curious and gentle, etheric synth/keys intro sets the table for, Plaza De España, an undeniably Latin number (complete with castanets), which expands slowly over the course of three distinct sections—each more open and bright than the one before—then concludes once again where it began, ambient and mysterious. With crisp, laser-like precision, the frenzied free-for-all, Blue Curaçao, will make you swear your listening to a Fender Strat plugged into an old, green Ibanez Tube Screamer. Kudos also to the bass and drum work on this monster track. By The Waters Of Babylon offers a mystic tone with a more classical sounding violin and stand-up-style bass tones. The piece develops slowly, and finds completion in a few angelic voices off in the distance. Contrast is key. All veteran musicians know this. Hence, the album’s back-to-back pairing of the adoringly timid, The Usual Drink—a minimalist keys and violin based ballad—with the fantastically loud and abrupt, What’s the Rush?—a complex, synth-packed electro-rock riff with psychedelic overtones. Is this a dance track? Once again, Bigi’s electric violin is crushing it. Jesus, who needs a guitar? You’re on a lovely walk across a sonic meadow at dawn. When suddenly, a tumultuous thunder and lighting storm spontaneously erupts, leaving you to duck and run, fearing for your life—only to see the skies clear up as quickly as they darkened, returning you home at dusk, at a leisurely speed equal to the pace with which you set out hours ago. No, seriously, that’s a fairly accurate figurative interpretation of Armonite’s second album, the colorful and creative, the adventurous and mysterious, the two parts prog-rock—one part classical: And The Stars Above. Layers upon layers of finely-produced and executed instrumentation—which include a host of synthesized tones, a multitude of electric violin modes, and an absolutely slam-dunk rhythm & bass section—culminate to create this epic fourteen-track collection worthy of the accolades it’s already amassed, as well as those still to come. And, on a fairly random note, never has such a lack of vocal & lyrical presence been such a non-concern as it is in this supreme body of work. The instrumentation—and that violin—are more than enough. BELOW: Listen to Armonite’s ablum, And The Stars Above, and connect with their website and social media platforms. Please support Armonite by visiting them online, and playing, downloading, and/or purchasing their music, or attending a live show! And, as always, thank you for supporting real music!